Now this is a pretty unique artwork, even if it might look like a typical native american sqaw illustration. 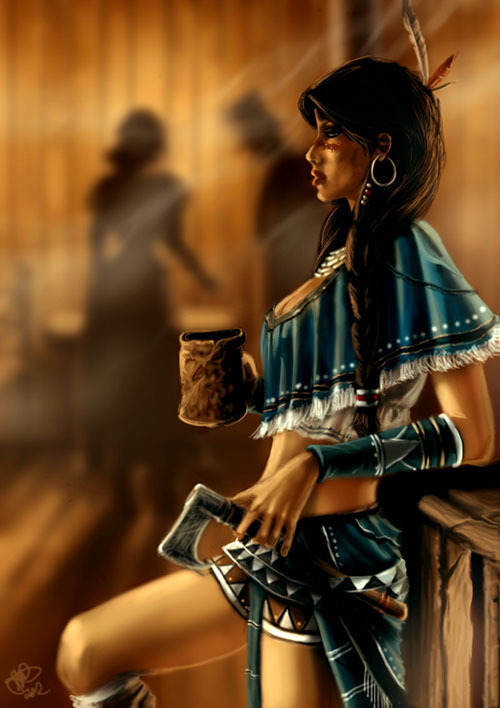 The woman you see here is Alsoomse, a Shawnee tribe character of the Assassins Creed 3 multiplayer mode with barely any background story. Jodie Muir from the UK who participated in multiple Game Art HQ Art Projects already draw this really super unpopular character and illustrated her as a proud looking native american here.